An upside down house might sound like something from a children's story, but that's exactly what this sunken concrete Inverted Pyramid is. 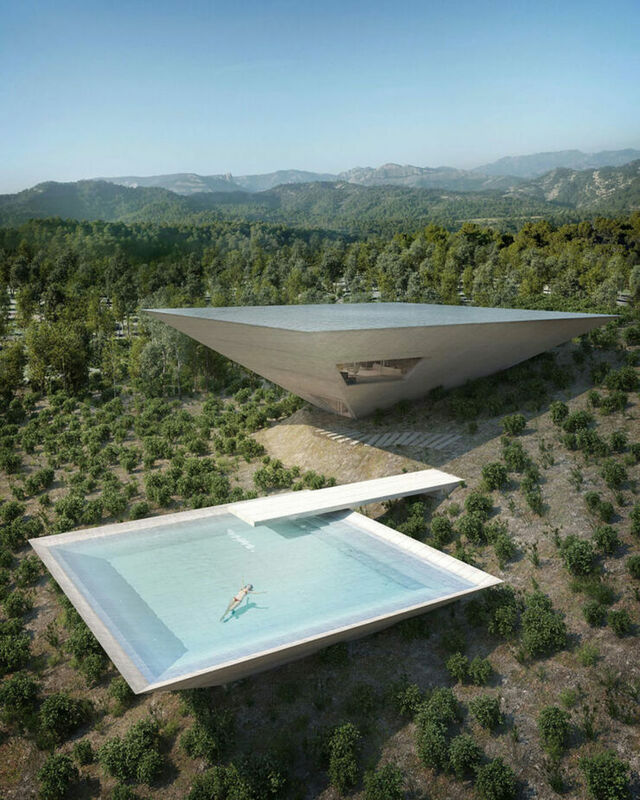 Designed by the Tokyo-based TNA, founded by architects Makoto Takei and Chie NabeshimaIt the upside down house hasn't actually been built yet, but, the studio have plans to build the inverted pyramid in the Matarraña region of Spain which sits in the Els Port nature park. 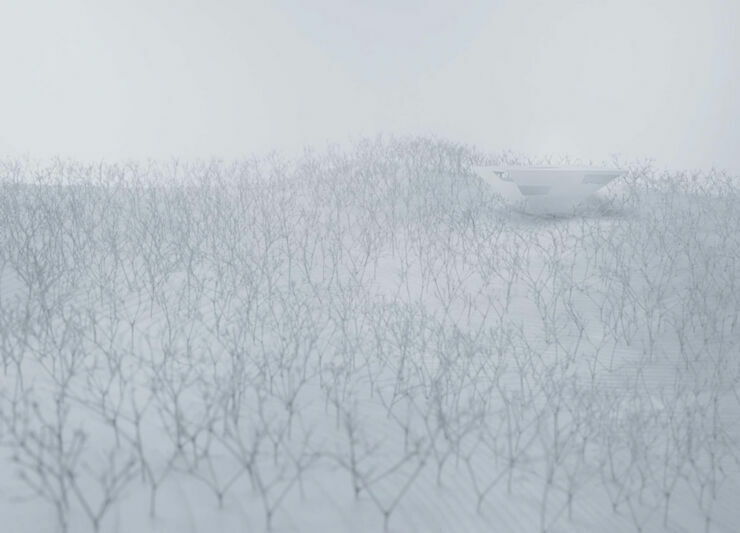 The plan is part of the Solo Houses project by Christian Bourdais which is tasking 15 architect firms to create prototypes for small resort contemporary vacation homes in the rural Spaish region of Matarraña. Originally the plan by TNA was to have two concrete inverted pyramids sunken into the landscape (shown in some images below), but has since been modified to feature just one. This upside down house has four floors which includes a rooftop pool. In the earlier renderings the pool is shown as a separate structure. Inside the updated single structure are two different mezzanines which overlook the living room and entrance, with the dining room on the ground floor. 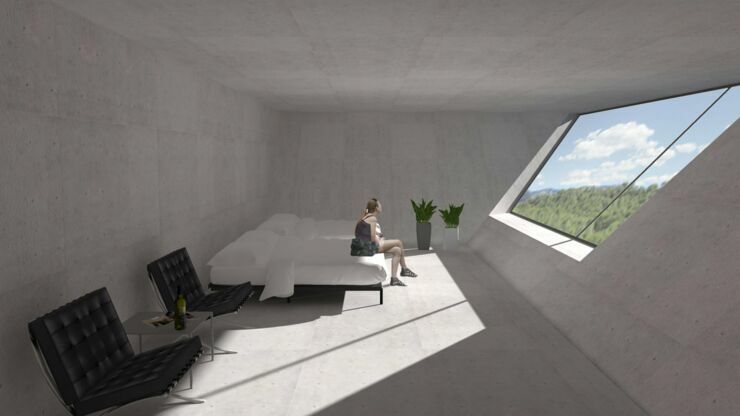 Rhombus-shaped windows are cut into the inverted pyramids sloping walls and provide views over the hilly landscape. Stairs from the dining area lead up to the living room and entrance level. And then a further set of stairs takes you from the entrance to a bigger lounger area and three bedrooms. Another staircase goes from a hallway that links the bedrooms onto the rooftop and the pool. Two other projects in the Solo Houses initiative have already been built. 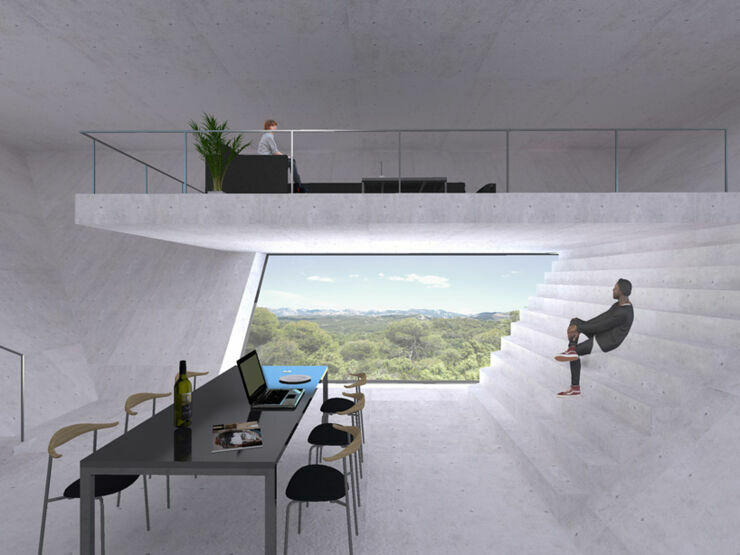 A symmetrical concrete property by Chilean studio Pezo Von Ellrichshausen along with Office Kersten Geers David Van Severen's proposal, a ring-sized building. 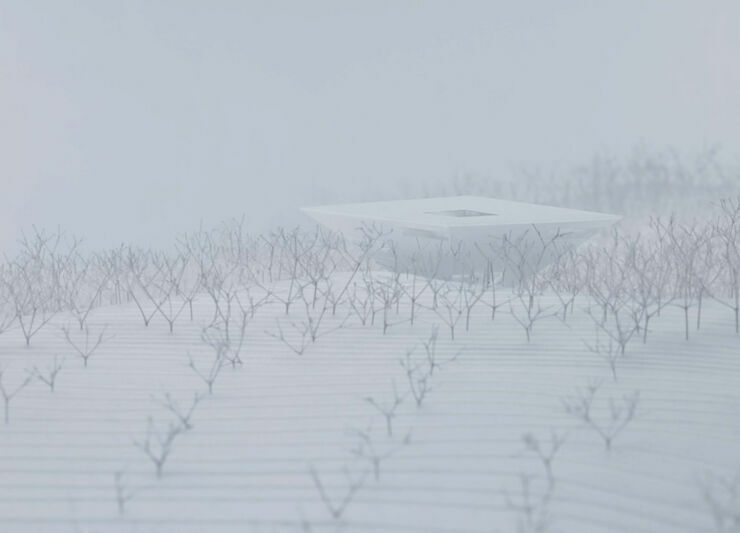 Talking about the project the Solo House's website notes about the surroundings, "Here, in the midst of a hundred hectares of plot of pure nature, one feels all of a sudden truly 'solo'—alone and magically isolated and disconnected from every day turbulences. The 'Solo Houses' [is] an on-going project of contemporary small resort-prototypes conceived by a New Garde of international young architects." 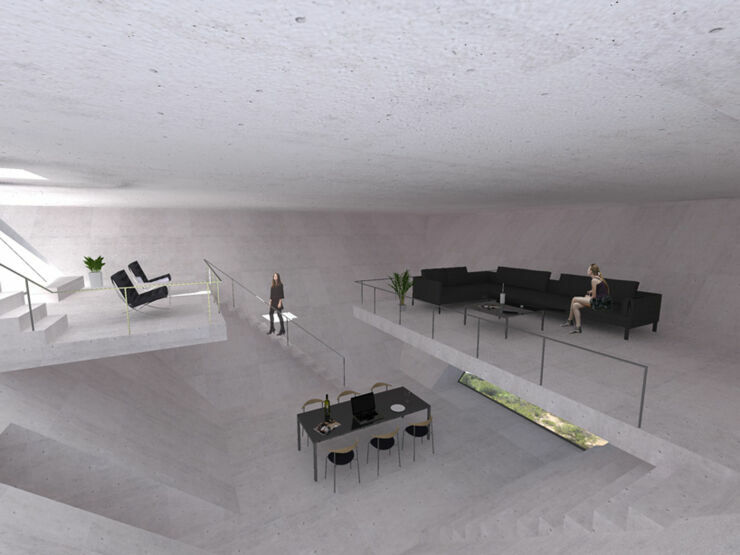 You can check out the upside down house designs at the project's website here.